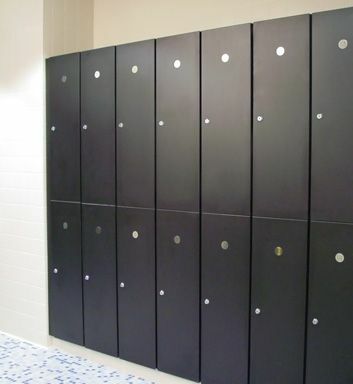 You have found custom lockers for sale from a reputable builder and installer, but you need to make room in your facility for the new custom lockers. What should you do with your old lockers? Place an ad online. Put old lockers for sale on Craigslist or through an ad in the paper. This is an easy way of getting rid of the old lockers while making some money. Donate to a local charity. Donations are always welcomed at local nonprofits. You may consider contacting nonprofit organizations that deal specifically with athletic programs, youth centers, or similar missions. These organizations often are in need of equipment such as lockers. Sell metal lockers for scrap. Depending on the locker material, you may be able to sell old lockers as scrap metal to yards that pay for metal by weight. The only limitation to this plan is that the old lockers for sale must be made of salvageable metal. Turn lockers into storage. Turn your old lockers into a do-it-yourself project. One way to do so is to remove the doors in the lockers, repaint the units and use them as bookshelves. Depending on the size of the lockers, you can also re-purpose them for use as display cases or storage units. Recycle. Contact your local recycling center to determine if the old lockers can be picked up and recycled rather than simply throwing them away. Arrange for pickup. Just as you can place an ad to sell the old lockers, you can place a curbside alert ad, giving the units away with a stipulation that the person who wants them should pick them up. This will save on space and transportation to dispose of the old lockers. 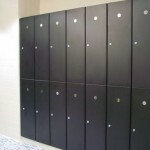 Make room for your new Legacy Lockers custom lockers for sale. Visit us at www.legacylockers.com today.